Have you made the very popular Mondo Bag? Well, here is a game that is made with the same technique! So EASY! METHOD: "Fuse, Fold, & Sew". Perfectly-matched seams & easy construction. Simple technique, fun to make, fun to play! 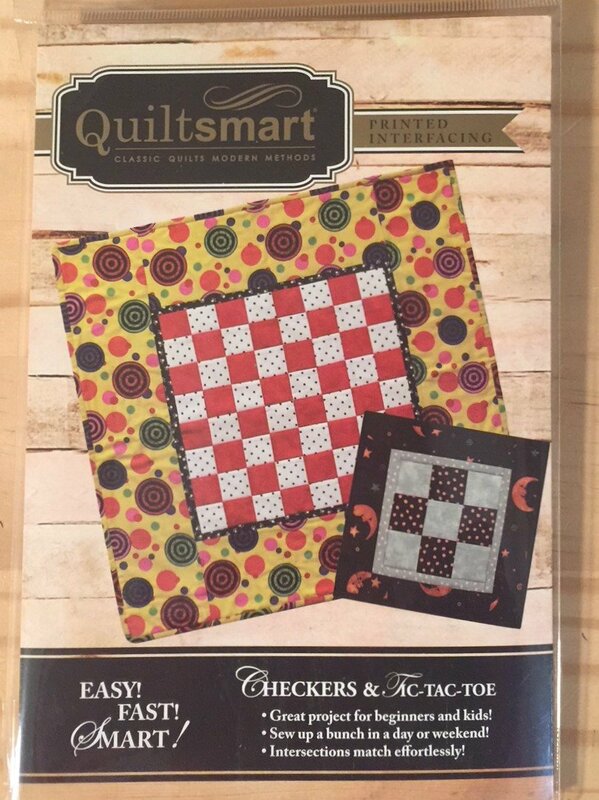 Checkerboard measures 14" x 14" without borders. With a border, it measures 28" x 28". The 14" square makes a cute pillow, too! Tic-tac-toe measures 6" finished without borders and 17" x 17" with a border. 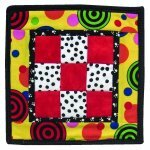 Comes in a 6" x 9" pack with interfacing & instructions to make 2 checkerboards and 4 tic-tac-toe boards.